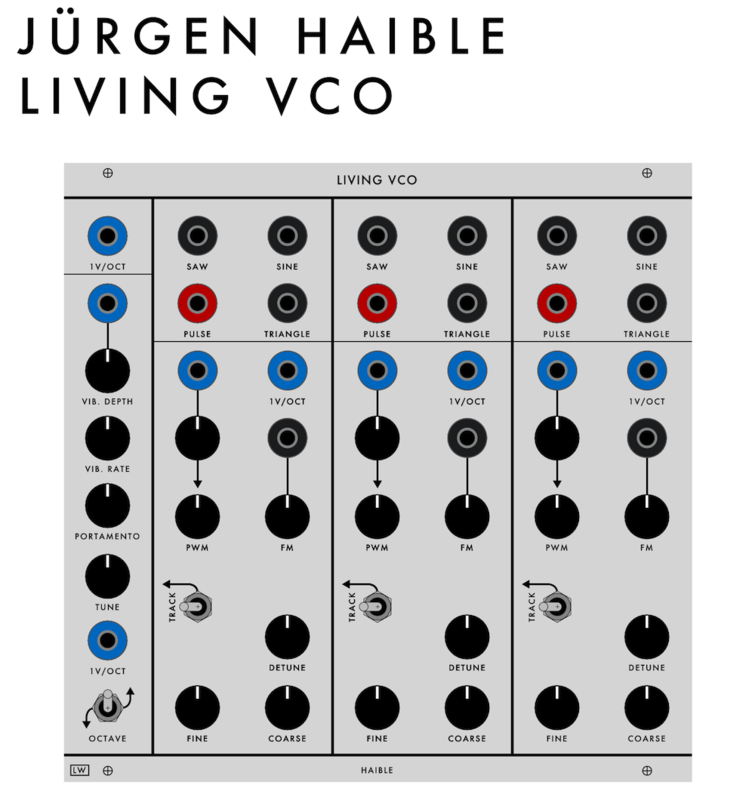 This page describes a 4U panel for the eurorack PCB version of Jürgen Haible‘s Living VCOs. 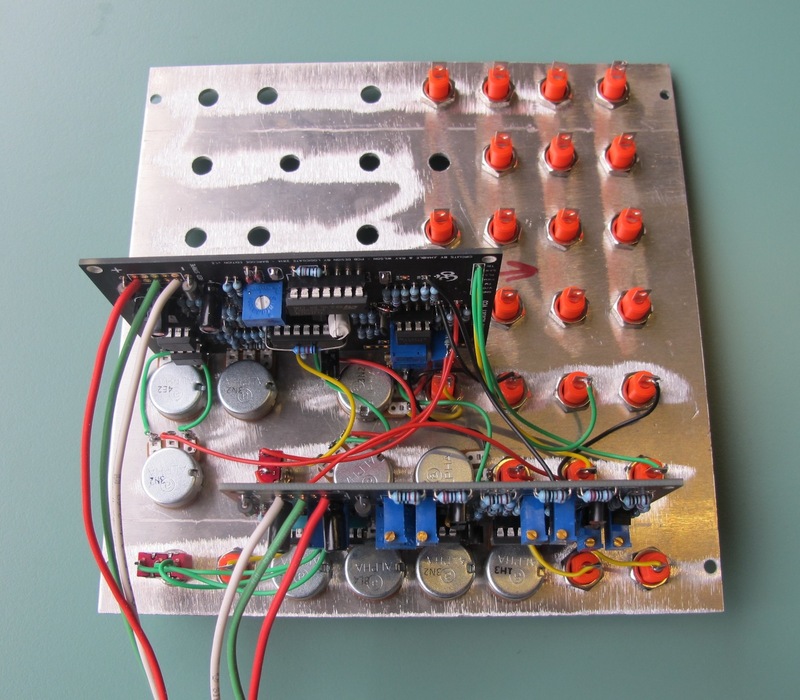 The PCBs were available in a group buy at Muff Wiggler forum. 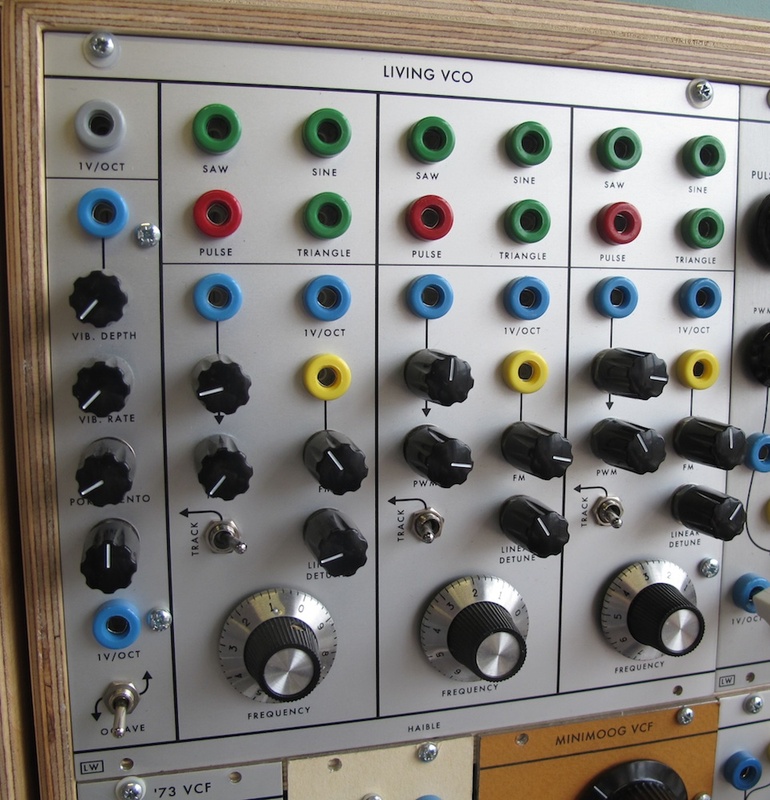 The photo above is an earlier 4U version I built for myself using one of the original PCBs I bought from Jürgen some years ago. This has the 10 turn pots for frequency. My panel for the latest DIY PCBs is subtly adjusted from the rigid Serge grid to allow the PCBs to be mounted using the board mounted pots. 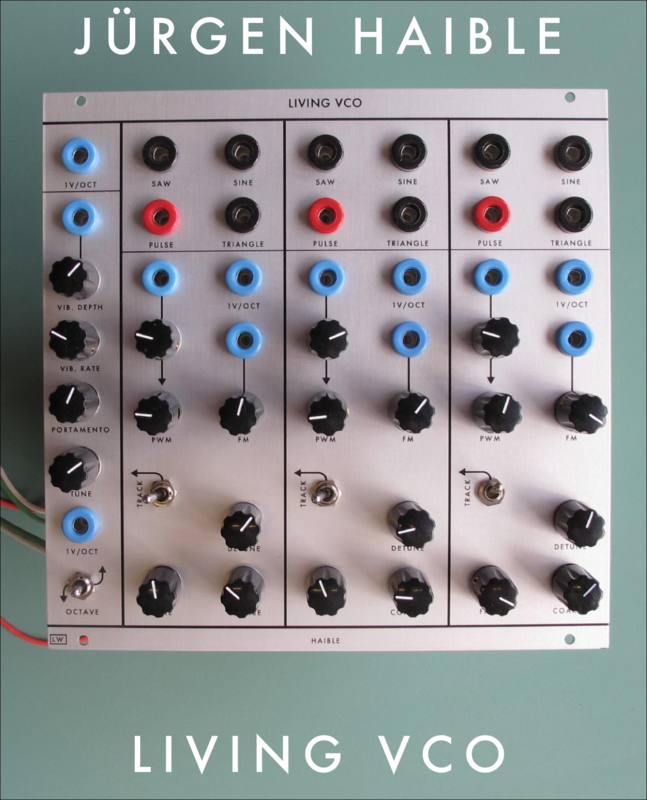 I have panels on order. You can see in the photos below a front and back shot of my blankface prototype, seeing how the PCBs are mounted to the panel. 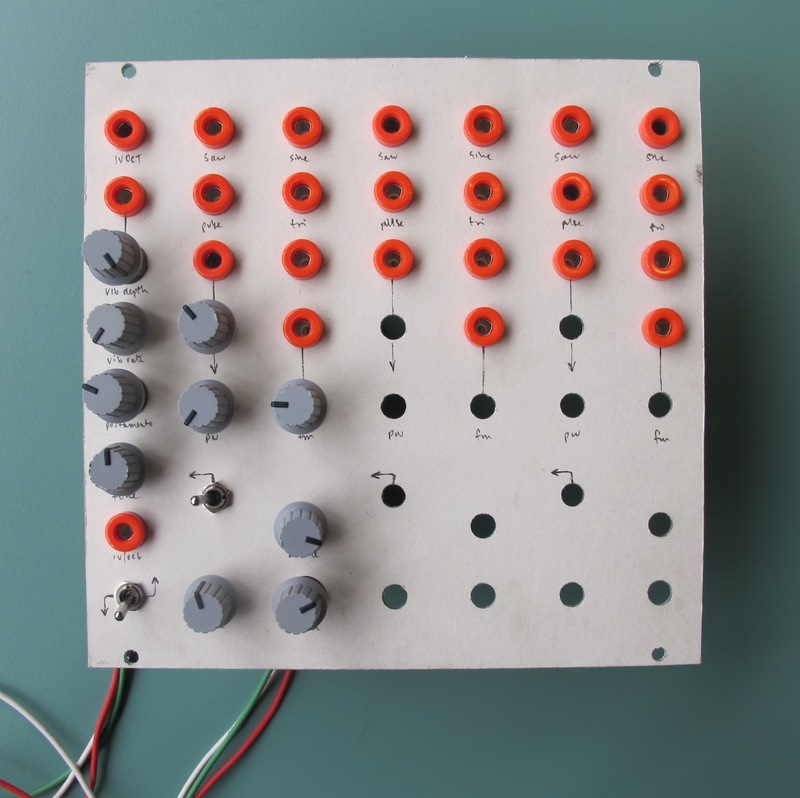 I’m very pleased with the results – I have 5 octaves of tracking (so far, I’ve not really sat down and been very thorough with that yet!) and no problems with the PWM, though I may still tweak some values in that part of the circuit. This version sounds the same – to my ears – as the original!